Gravatar is a service which display your avatar (images) globally on website which enabled gravatar. Gravatar is made by Tom Preston-Werner since 2007 and it has been owned by automattic, which is now included in WordPress platform. Gravatar used by many different website like WordPress , stackoverflow, github,techdirt etc.. . When someone who sing up with gravatar and comment on these site which include gravatar then it will automatically display your avatar profile image.If some reason you don't want to add Gravatar in you WordPress and you do not know how to do that then you are in the right place, in this lesson we will show you how to Disable Gravatar in WordPress. 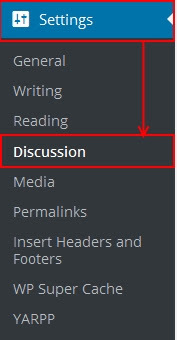 First of all you will need to sing in to your WordPress website and then go to >> Settings >> Discussion and move down you will see check box on the Avatars section next to show avatars option. Once you unchecked the check box then click on save button to save settings. Isn't it very simple "yes it is" now Wordpress will totally disabled Gravatar on your site, and when ever you comment on your website it will not display your profile image. Now you will also not able to see Gravatar in your admin area .Your gravatars will incompletely disappear form your WordPress website. 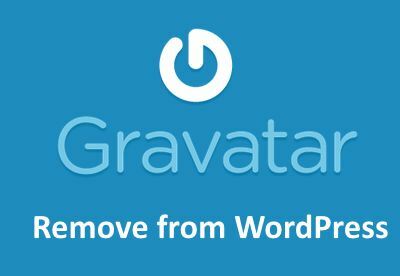 We hope this short article helped you learn how to Remove Gravatars From WordPress. You may also want to check out our How to Properly add Twitter Cards in WordPress, and How to Display Related Pages in WordPress that helps you to learn more.